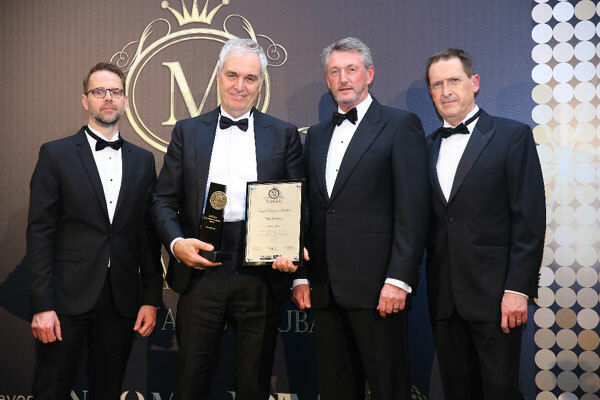 Peter Schuler, general manager of Symphony Style Kuwait, A Radisson Collection, received the “Best Business Leaders” award at the Middle East, North Africa & Asia (MENAA) Awards ceremony. Renowned for his approach of exceptional leadership and successful business transformation, Schuler has earned himself a place of recognition as a great leader in the ceremony held at Burj Al-Arab in Dubai. “The active relationship environment we have at Symphony Style Kuwait, A Radisson Collection Hotel is one that grows talent that contributes heavily to the success of the hotel. We grow talent, so talent grows us, and in that we have not only achieved our financial targets year over year, but we’ve established ourselves as the Best Luxury Family Hotel- Kuwait, The Luxury City Hotel – Kuwait and took our safety bar up a notch by being Safe Hotel and Green Key Certified,” said Schuler.